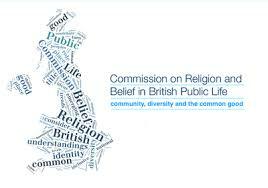 The Accord Coalition has endorsed recommendations made about the way religion and belief is currently negotiated in Britain’s state funded school system by a major new Woolf Commission study into role of religion and belief in public life. The Woolf Commission’s report ‘Living with Difference: community, diversity and the common good’ can be found at https://corablivingwithdifference.files.wordpress.com/2015/12/living-with-difference-community-diversity-and-the-common-good.pdf. In November the investigation ‘RE for REal’ by the Faiths and Civil Society Unit at Goldsmith, University of London, called for Religious Education in all state funded schools in England and Wales to become a nationally determined subject that covers the range of beliefs in society. Report available at http://www.gold.ac.uk/faithsunit/reforreal. It followed a report in June from Professor of sociology of religion, Linda Woodhead, and former Secretary of State for Education, Charles Clarke, titled ‘A New Settlement: Religion and Belief in Schools‘. The report looked at religion and belief across the school curriculum in England and Wales and also urged for Religious Education to become a nationally determined subject for all state maintained schools (covering the broad range of religious and non-religious beliefs in Britain) and for abolishing the requirement for compulsory worship in schools. Report available at http://faithdebates.org.uk/wp-content/uploads/2015/06/A-New-Settlement-for-Religion-and-Belief-in-schools.pdf.